LOS ANGELES, Oct. 6, 2017 /PRNewswire/ — Paul McCartney’s critically acclaimed and multiple Grammy Award-winning Archive Collection will offer fans another chance to complete their collections on November 17, 2017. That date will see the MPL/Capitol/UMe reissues of the first eight Archive Collection titles in affordable single CD digipak and 180gram black vinyl single LP formats—as well as limited edition 180gram color vinyl pressings. All vinyl LPs in the Archive Collection will feature a download card and fully restored artwork. 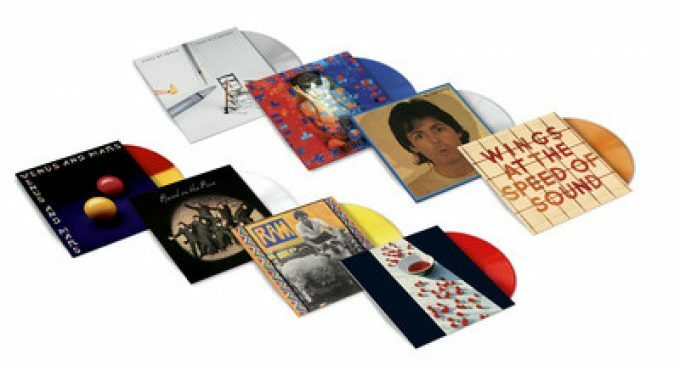 The titles and corresponding limited edition vinyl colors are as follows:Paul McCartney: McCartney – REDPaul McCartney: McCartney II – CLEARPaul McCartney: Tug Of War – BLUEPaul McCartney: Pipes Of Peace – SILVERPaul and Linda McCartney: Ram – YELLOWPaul McCartney and Wings: Band On The Run – WHITEWings: Venus And Mars – RED & YELLOWWings: At The Speed Of Sound – ORANGEThe Paul McCartney Archive Collection debuted with the November 2, 2010 re-release of Paul McCartney & Wings’ 1973 milestone Band on the Run, which won the 2010 Grammy® Award for Best Historical Album, while the Archive Collection’s Deluxe Edition Box Set of the 1976 classic Wings Over America took the 2013 Grammy® for Best Boxed or Special Limited Edition Package. 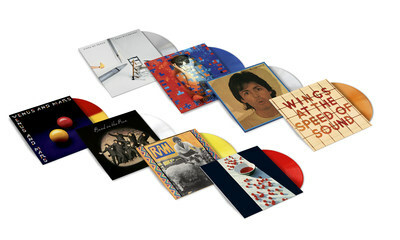 The most recent installment was this year’s reissue of Paul’s eighth studio album Flowers In The Dirt, which ROLLING STONE called “spectacular… an extraordinary document,” and the OBSERVER hailed as “perhaps the greatest record to emerge from the world of AOR in 1989… an absolute pleasure to rediscover today.”Every release in the ongoing Paul McCartney Archive Collection is supervised by Paul McCartney himself, who oversees all aspects of each and every title from remastering to the curation of lost tracks, outtakes, artwork, photographs and video from his personal vaults, and much more. The result is one of the most ambitious and personal undertakings of its kind, one that encompasses more than 40 years of cherished, classic material from the most successful songwriter and recording artist in music history.